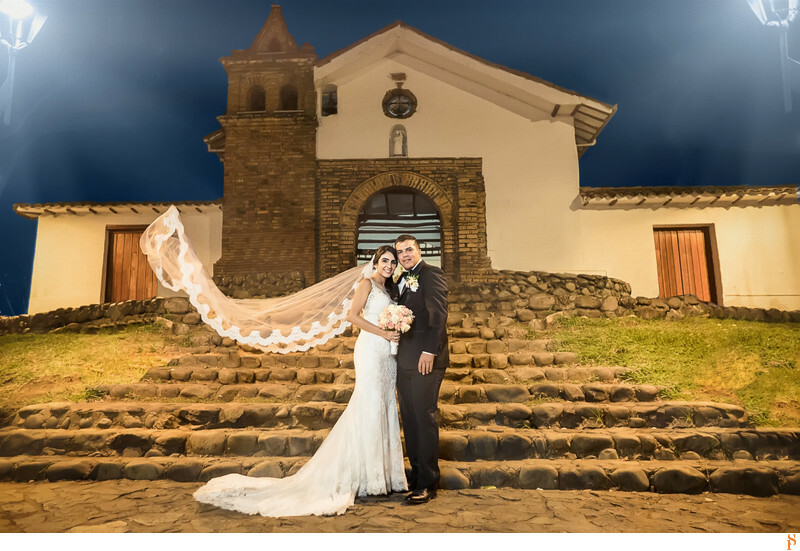 bride and groom in front of their church at night in Cali, Colombia. It was the San Antonio church. It is the oldest church in Cali.